Randomly browsing Air Asia’s mobile app around midnight had me scrambling to book a flight to Taiwan. The price was only Php151 for a one-way fare from Cebu to Taoyuan International Airport. Travel tax is even more expensive than the reserved ticket. I had no plans of visiting Taiwan but the cheap deal was hard to resist. Without a blink of an eye, I immediately paid the booking. Time to make my Taiwan itinerary! Massive front gate at the Liberty Square opposing Chiang Kai-shek Memorial Hall. But wait! After receiving the flight reservation on my email, I noticed that I put a different month instead of my target visit! The good news was, airline’s flight frequency from Cebu was decreased and my reservation was affected. Since the cancellation offered options, I grabbed the chance to move it to my desired departure date. With that, here’s a sample four-day itinerary to Taipei, Taiwan. I actually stayed in the city for a week but a 4-day Taipei itinerary is the most feasible one for working travelers. If you have the luxury of time, I also included the extended itinerary below. For Filipinos, if you have an existing or expired (less than 10 years prior to visit) OECD visa, check this link for the list of OECD countries, you can enter the country visa-free. You’ll just need to fill and print out a Travel Authorization Certificate, can be accessed here, that you’ll present to the immigration officer on your arrival. NOTE. There are current talks between the Philippines and Taiwan about offering a visa-free entry for Filipinos for a trial basis. It was announced that the new policy will start June of 2017 but later postponed to September 2017. To be sure, kindly check with the Taipei Economic and Cultural Office before booking your flight to Taiwan. UPDATE: Taiwanese Ministry of Foreign Affairs already relaxed the visa-rules for Filipinos and just waiting for the implementation of the visa-free policy. UPDATE #2: Filipinos are now allowed to enter Taiwan visa-free for 14 days and the trial basis will run from November 1, 2017 to July 31, 2018. 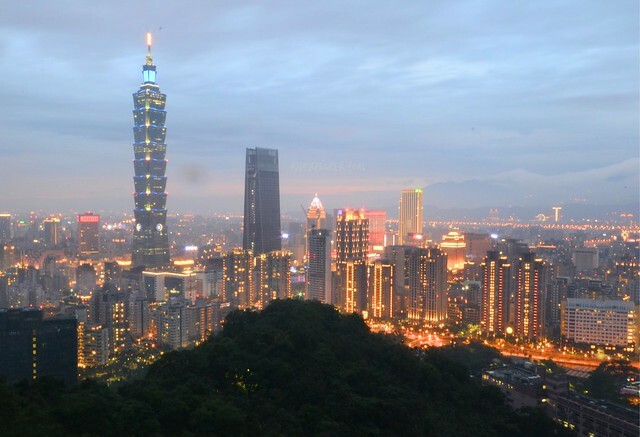 UPDATE #3: Filipino visa-free entry to Taiwan was renewed and valid until July 31, 2019. Climate in Taiwan is divided into two parts: subtropical in the north and tropical in the south. In general, the country experiences spring from March to May, summer from June to August, autumn on September to November, and winter from December to February. Winter doesn’t equate to snow yet foggy and cold weather due to the northeasterly winds from Siberia. Check the weather on your visit to bring appropriate clothes. Several money changers in the Philippines offer New Taiwan Dollar (NTD). I bought US dollars and changed it at the currency exchange booth at the airport’s arrival area, before the immigration booths. By the way, there’s an additional 30NTD per currency per transaction. I also noticed that they’re changing Philippine Peso to New Taiwan Dollar. Most shopping places in Taipei receive credit cards for payments. EasyCard is a touch-and-go ticketing system for Taipei Metro, bus services, and some convenience stores. Grab your card at a convenience store at the airport before hopping to a bus or train to Taipei. You can go around Taiwan just by tapping your EasyCard on trains and buses. You can also use the card in purchasing items from convenience stores all throughout the country. In terms of reloading, top-up machines are available at metro stations. Convenience stores are also handy places for card reloading. If your balance hits below zero, you can still pay in cash. Just note that when you tap your card and it went negative, the amount will be deducted on your next top-up. 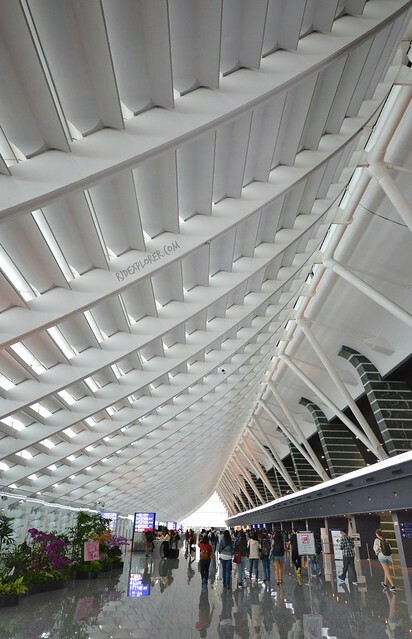 From Taoyuan International Airport, you can go to Taipei on a bus or train. Bus 1819 leaves the airport for Taipei Main Station every 15-20 minutes for 125NTD. The bus number serves the route 24 hours, every day. Another option is to take the Airport MRT from either Terminal 1 or 2 heading to Taipei Main Station for 160NTD. Train service leaves Terminal 2 starting at 6:12 AM with the last departure at 10:42 PM. For the Taipei Main Station to Taoyuan International Airport, train service is from 6:19 PM to 11:19 PM, frequency every 15 minutes. Travel time from Manila to Taiwan is around two hours. In terms of flight schedules, Cebu Pacific Air and Air Asia Philippines have flights departing from Manila around midnight while Philippine Airlines leaving Manila around seven in the morning. From Mactan Cebu International Airport, Taoyuan International Airport is 2 hours and 40 minutes away. Cebu Pacific Air has flights leaving Cebu around midnight while Air Asia Philippines offers a 7 AM flight. No direct flight from Cebu to Taipei from Philippine Airlines as of writing. The red-eye flight from Manila will surely exhaust your energy so catching a nice sleep coming from your arrival is the best thing to do. In the afternoon, you can visit shops in Ximending Pedestrian Area or Taipei101. Taipei cityscapes viewed from Elephant Mountain. After spending some dollars on shopping, hop on a subway train to Xiangshan Station and find your way to the Elephant Mountain. With two trails having several steps to conquer, viewing decks installed along the trail provide a breathtaking view of the city and Taipei101 on the background. Visit the mountain late in the afternoon and wait for the majestic sunset. 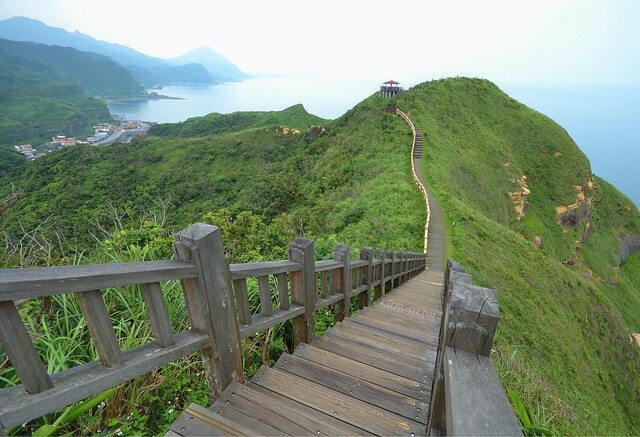 This combination is the usual day trip that tourists do when visiting the northern areas of Taiwan. Jiufen was a remote village until the discovery of gold by Japanese in 1893. It became the talk-of-the-town and the whole area developed steadily. 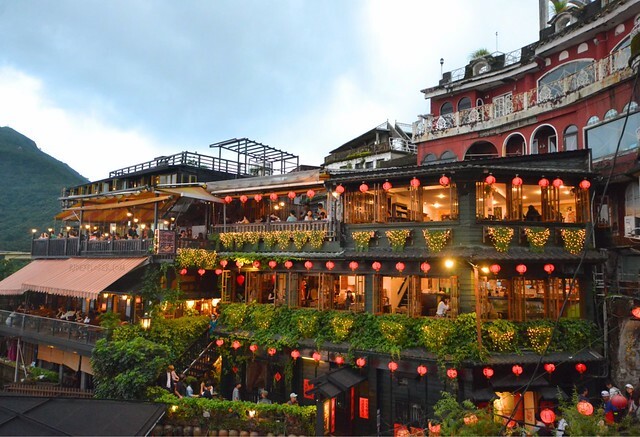 Now, Jiufen is a tourist attraction because of its alleyways dotted with stalls selling varied options of food, souvenirs, apparels, and other stuff. The location was also the inspiration for the Japanese animated film Spirited Away released in 2001. Restaurants decorated with lanterns in Jiufen. Lantern release near Shifen Station. In the afternoon, you can go directly to Shifen on the Pingxi Line by going to Ruifang Station from Jiufen. The 25-minute ride will bring you to Shifen Station notorious for the lantern release. No need to wait for the lantern festival because you can simply purchase colorful lanterns decorated with your aspirations and wishes. 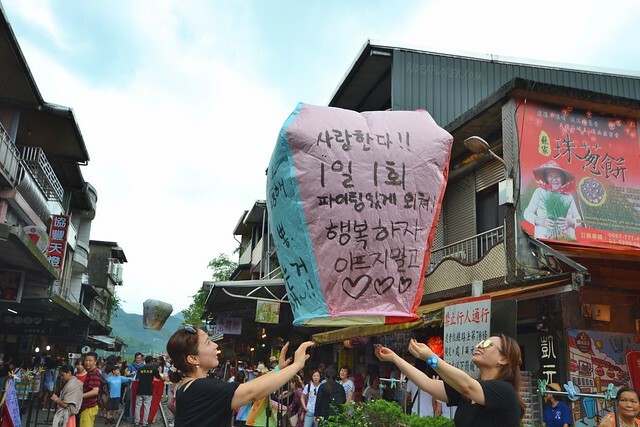 Tourists release these lanterns on the railway, when there are no trains, of course. If ever, the locals will notify everybody that a train is approaching. 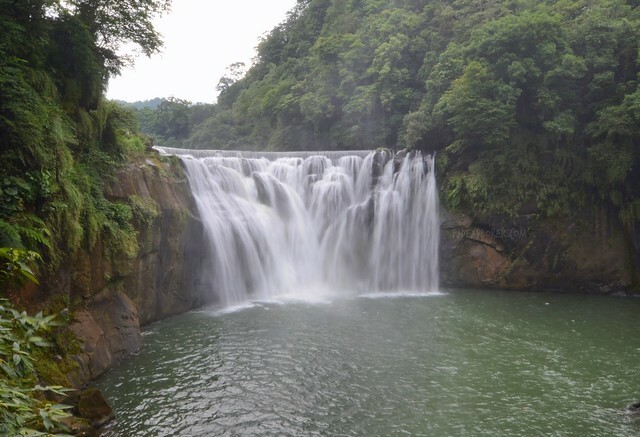 A 20-minute walk from Shifen Station is the Shifen Waterfall. When I was browsing online, a destination north of Taipei got my attention. It’s a rock formation that resembles a queen’s head from a certain angle. It was included in the list of natural wonders that could soon disappear. 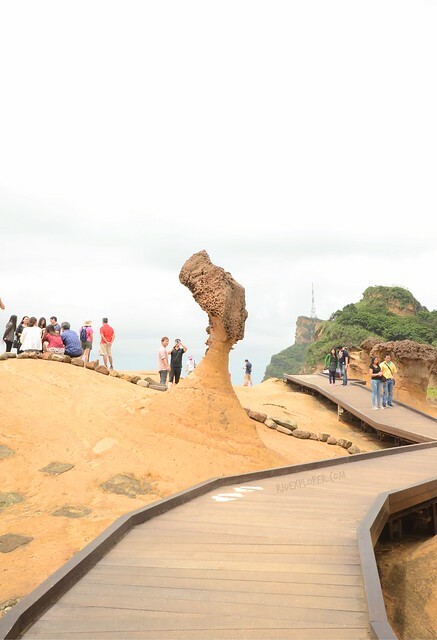 With that, you need to visit Yehliu Geopark, where you can find the landmark, to see the magnificent work of nature. Queen’s Head, a famous rock formation at Yehliu Geopark. You can go back to Taipei and do shopping after the geopark day tour or simply continue your day to Keelung City and experience the famous Miaokou Night Market. If you’ve booked a late night flight back to the Philippines, you can still maximize your day by tracing the history of Taiwan. 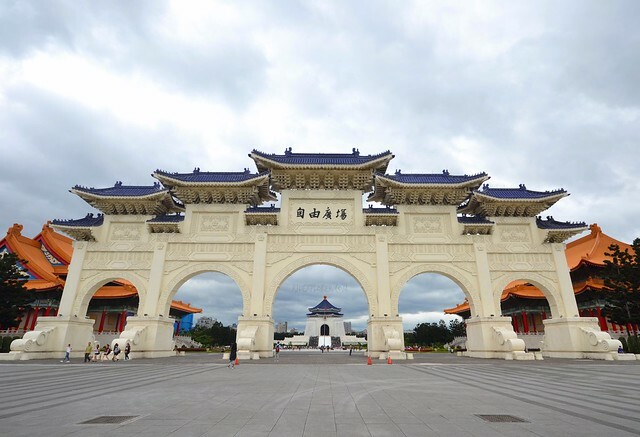 You can start at the Red House, Bangka Lungshan Temple, Chiang-Kai Shek Memorial Hall, Dr. Sun Yat Sen Memorial Hall, and end it at Taipei101 to view the city from another viewpoint. We scaled the structure by doing an advance booking for Starbucks on the 35th floor. If you’re not into coffee and wanted to enter Taipei101, book a ticket to soar up the building and view the city from the 89th floor. It’s a rare chance to go on their outdoor observatory on the 91st floor with the ticket. Recalling our meals during our stay, it seems that we usually rely on food stalls on the streets and night markets. We also had meals at Taipei 101 food court, Din Tai Fung, and Jiufen Old Street. But most of the time, we just avail and enjoy cheap noodles, large fried chicken, springy-but-not-chewy squids, and a lot more. If you’re interested with the food we’ve tried during our stay in Taipei, check my separate post here. 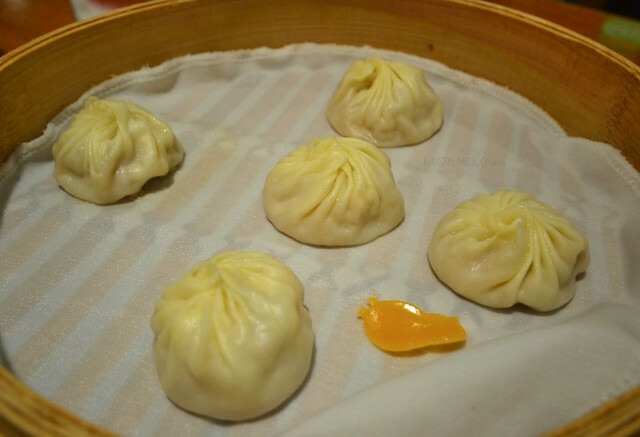 Din Tai Fung’s famous xiao long bao. For places to stay, Taipei surprisingly provides a wide range of accommodations from backpacker hostels, budget and no-frill hotels, to high-end chains. If you’re on a shoestring, dozens of hostels are available within Ximen area. Backpacker dorms start from NTD320 a night and already includes a light breakfast. As for budget hotels, Morwing Hotel Culture Vogue cool rooms can be availed for NTD1720 a night, already good for two persons. Our recommended accommodations are Ximen Corner Hostel, Meander Taipei Hostel, and Morwing Hotel Culture Vogue. Meander Taipei Hostel mixed dorm. Just about an hour from Taipei city proper is the Yangmingshan National Park. Some readings on the park’s website will provide you with the nearest subway station and bus number to utilize. 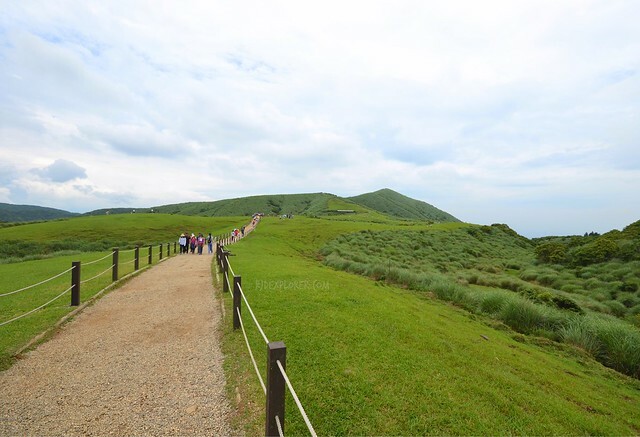 Yangmingshan National Park serves as a breather for Taiwanese folks from the busy metropolis. Morning walks on the park’s scenic spots will surely provide a soothing experience on your stay in Taipei. Rolling hills of Yangmingshan National Park. From the bus terminal, you can start your exploration of the park by taking the pedestrian trail that ends at the Yangmingshan National Park headquarters. Just across the administrative building is another short walk to reach the octagonal pavilion. Fresh air and magnificent views will welcome you. Take the ride from the park to Qingtiangang, an area within the national park with rolling hills and trails leading to some waterfalls. There are a lot of trailheads in the park that you can enter one and exit with another. 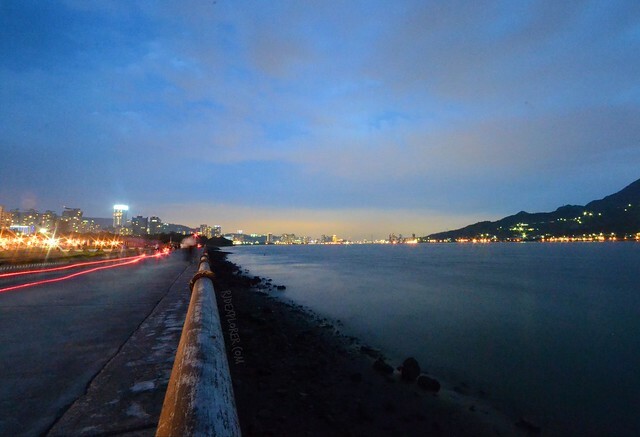 End your day by proceeding to Tamsui, the end of the red subway line. This harbour area of New Taipei City is the best spot for sunset viewing as it faces the west. 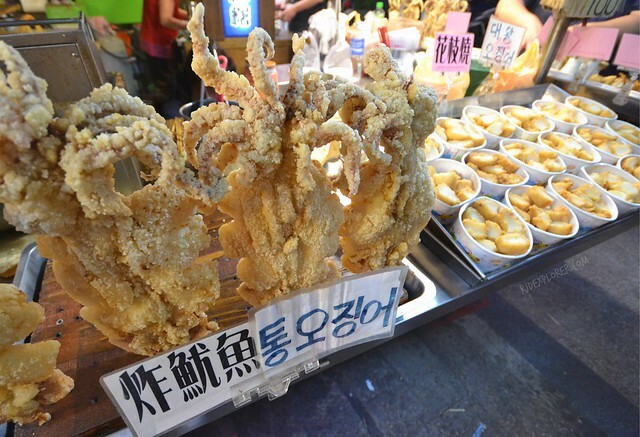 Several stalls along the boulevard sell fried cuttlefish, squids, and whatnots. Fun games like shooting figures and popping balloons are some of the activities Tamsui offers. Crazy yet fun games at Shinlin Night Market. Ding-dong soaps sold at Shinlin Night Market. Another option is to drop by the famous Shinlin Market for non-stop food suggestions and bargains. 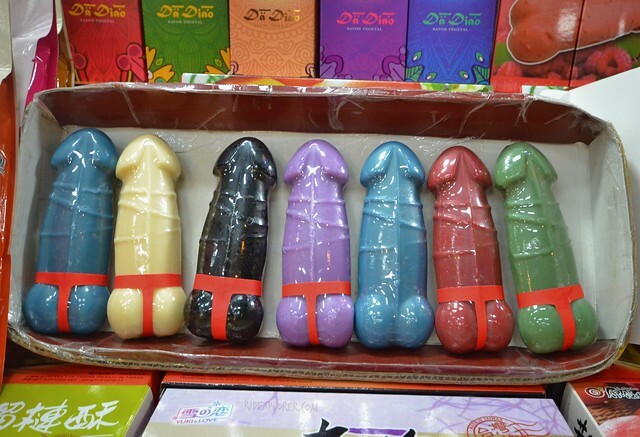 Spot some cool and weird stuff like those colorful ding-dong soaps. 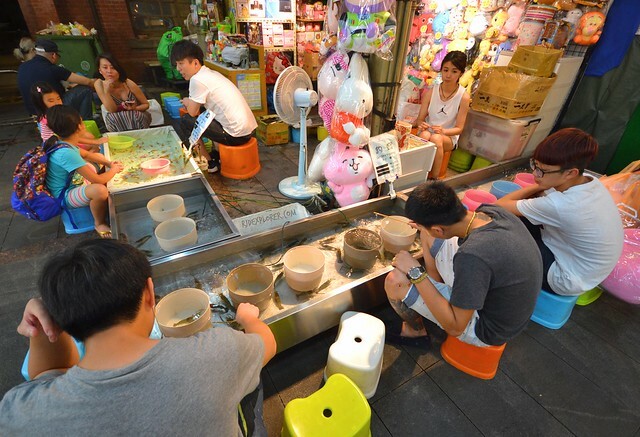 Taiwanese people love to spend their spare time on funny and weird games like fishing a shrimp, popping dropping water-filled balloons, and even bingo using mahjong tiles. Another interesting spot on the northern coast of Taiwan is the Bitoujiao Cape, one of the Three Capes of North Taiwan. I knew about the Bitoujiao Lighthouse on an online travel magazine video montage. However, the trail to the lighthouse was already closed during my visit. Several trails, providing equally scenic views of the Pacific Ocean, are still open for public. Plus, the grass is greener on this side of Taiwan, literally. Lush foliage covers the hills as well as the trail leading back to the main highway. Hiking trails in Bitoujiao Cape. Nag rent po ba kayo ng pocket wifi? Is yes, san po? Thanks po! Hi, you can rent one from Klook here http://bit.ly/taipei4g and pick-up nalang sa airport yung device when you arrive. The instructions for the pick-up and drop-off (pag aalis ka na) are on Klook’s page. Enjoy Taipei! Hi, may I please know how much the security deposit for the pocket wifi rental is? Thank you! Thank you for posting. Do you have detailed itinerary like exact transportation going tourist spots and to another. Bro how did you go from xiangshan station to elephant mountain?